Originally I built Leaflet Maps Marker to be able to display maps from http://data.wien.gv.at provided by the City of Vienna within their wonderful open government and open data initiative. I soon recognized that there is a much wider audience than the Viennese citizens which might be interested in the plugin 😉 and started integrating basemaps from OpenStreetMap, Mapquest, Google, Bing etc. Anyway – thanks to the wonderful library leafletjs.com, which builds the basis for my plugin, you can also use other basemaps thanks to the support of WMTS-APIs. Done. 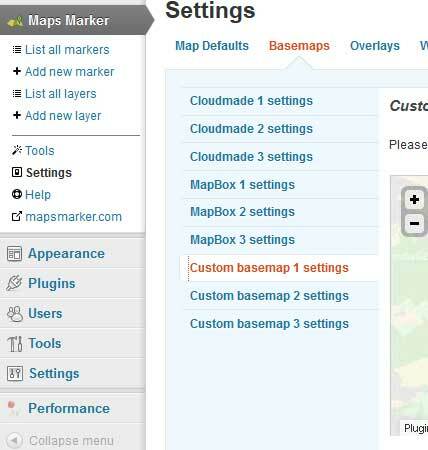 Afterwards you can use the basemap when creating a new marker or layer map.